The Council encourages applicants to consult them and to make use of their paid planning advice service, in advance of submitting an application, so as to ensure that the application is likely to be acceptable. Puts a notice in the local press. Puts a copy of the application and all or most of the documents submitted with it on the planning pages of its website [insert link]. Posts a “site notice” outside the property to which the application refers. Writes to the occupants of the properties adjoining the relevant property, but not to anybody further afield. There is also a system to which residents can sign up by which they can be sent email alerts of planning applications in their vicinity – see www.rbkc.gov.uk. This is the best way to ensure you know what is happening in your area. For planning applications for changes to listed buildings or for consent to demolish buildings in conservation areas, the Council does NO direct notification of neighbours. However, there is NO notification for discharge of planning conditions or for applications for non-material amendments nor is there statutory requirement for public consultation. We have objected to this lack of public consultation and the Council now does accept objections to and comments on applications not subject to public consultation. So if you see “no public consultation” and have an opinion about the application, please do send your comments to the planning department. To find a planning application, go to www.rbkc.gov.uk, then click on Planning and Building Control in the menu on the left side of the homepage. Once there click on Planning Applications. There are various ways of searching. But the easiest is usually to put the first line of the address in the search box, or simply the street name if you want to see all applications for that street. This will bring up the current applications along with any previous applications. Reviewing what has happened in the past is often helpful in assessing the current proposals. RBKC has spent years “perfecting” the planning website and has recently made substantial changes to it. In some ways the changes are an improvement, in others they are not. The new system of downloading the documents, plans and reports is particularly cumbersome. If you find it difficult to access any file or document, email the planning department on planning@rbkc.gov.uk and ask for help. Also copy in the Kensington Society. We can assist our members in this task which should be easy but is not. We have been commenting on the problems that our members are having with the site and will continue to do so. Anyone can comment on an application. You do not have to adjoin the property or even live on the street. All standard applications will have a consultation period by which comments must be in. Site notices, letters to neighbours and the website will say what the deadline is. 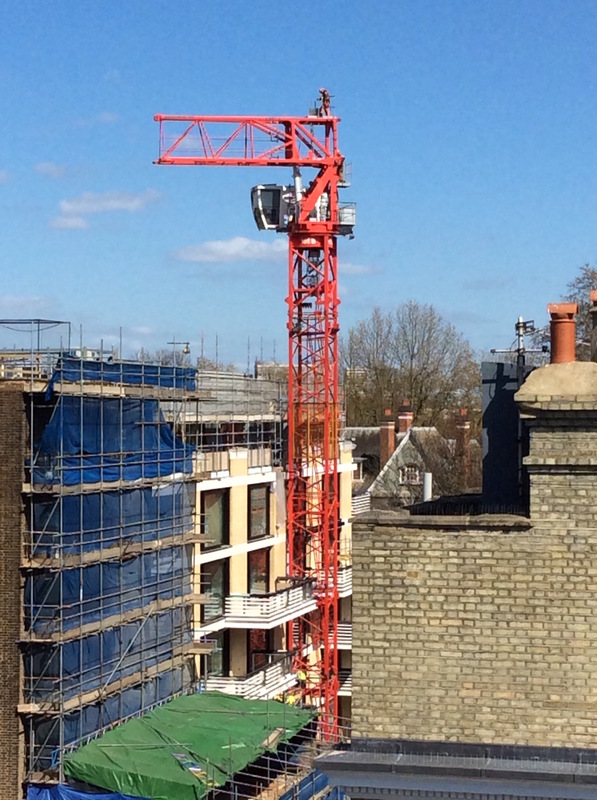 RBKC’s planning department has set the Government’s minimum time limit for commenting on planning applications as the maximum – 21 days. The Society has opposed this and will continue to argue that 21 calendar days (which even include Christmas day) are not sufficient to study and comment on complex applications such as those which we are seeing weekly. In practice, objections received after the 21 days are normally accepted by the planning department. It is important to note, however, that if an application is recommended for approval, it will normally be approved under “delegated powers” without being considered by the Planning Applications Committee (PAC) unless at least 3 objections have received before the 21 days. The only other way to ensure that it goes to the committee is for your ward councillor to request that it be taken by the committee. Always keep a record of your correspondence or telephone conversations. The PAC is made up of Royal Borough of Kensington & Chelsea councillors who are PAC members. Three members constitute a quorum. On what grounds can you object? The planning department will only consider planning issues when determining the application. The health of your mother, the restricted accessibility to the site, the disruption to your lives, the disruption from multiple construction sites on one street, etc. – they are all disregarded. What will count as a legitimate objections are where proposals are contrary to the Core Strategy, National Planning Policy Framework (NPPF) and the London Plan. Specific Conservation Area Proposal Statements (the Council’s policy documents on specific conservation areas) will also be taken into account. The Core Strategy has 46 chapters and is not easily understood. The main planning issues for conservation areas, however, can be found in the chapter 34: Renewing the Legacy: Conservation, quality and design. There is no link to the chapter as it is in pdf format and though we have asked the planning department to provide a link. If you need help finding the relevant RBKC Core Strategy chapter or policy and you are a member of the Society, contact us and we can help. The planning department is not required to consult Thames Water; however, if the site is within the historic flood areas the department often consults them. The officer then writes a report on the application, recommending whether it should be refused or approved, with full reasons, together with a summary of any objections and the officer’s opinion of why these objections are or are not reasons for refusal. What happens if an application is recommended to be refused? If the planning department determines that the application does not comply with planning policies the application will normally be refused under delegated authority and will not go to the Planning Applications Committee. What happens if the application is recommended to be approved? If the application is recommended to be approved and it is not decided under delegated powers, the planning department’s report will go to the Planning Applications Committee (PAC) for decision. The report must be published 5 days before the PAC meeting. To see PAC reports you need to look under the ‘Council and Democracy’ section of the RBKC website. The full report is not posted on the site, as objection letters are not included. A full report is including all of the objections letters is sent to the councillors attending the PAC meeting and a copy including the selected objection letters can be obtained in the Central Library. An objector can speak at the committee meeting if your request is made by 12 noon or two working days before the meeting and if the chairman agrees to allow you to speak – it is at his/her own discretion. If a request is even an hour late the chairman can and often does refuse the right to speak. If you are allowed to speak you will be given 3 minutes. If you speak longer you will be cut off by the chairman. When addressing PAC the objector should stay on planning issues. No new information in the form of plans or photographs will be allowed to be circulated. While the planning department has discouraged the practice, we have found that it is helpful to send an email to the councillors attending the PAC meeting before the meeting outlining your objections and if helpful, any other supporting material such as photographs. The only course of action against an approval is filing for a judicial review. We have seen this route proving successful but it is very costly and time limits are short. There is no other form of objection after approval. The applicant can, and many times does, appeal a refusal. There are several forms of appeal. If the application is made by a homeowner there will be no means of further objection and the appeal will be determined on the basis of the information received by the planning department prior to the determination. Therefore it is important when objecting to a homeowner’s application that you fully present your objections. Other appeals, by developers or investors, can be handled through further written submissions and may have a hearing or may be determined by the Inspectorate without a hearing. If there is a hearing it is important to attend and present your objections. On 17 June 2016, Bloomsbury Law Online posted these tips by Richard Harwood OBE QC, about how to make representations to a planning committee, and the author has given us the kind permission to post the article on the Kensington Society web site. The applicant, objectors and supporters may wish to make representations to a planning committee dealing with an application or another planning matter. This will usually be by writing to the committee members before the meeting or by speaking at the committee if the authority’s procedures allow for this. The best time to contact committee members is after the officer report has been published. A letter written at an earlier stage might not be read, is likely not to be fully understood without a detailed report, and will probably be forgotten before the meeting takes place. Once the committee report is published, the opportunity arises to seek to support the officer recommendation or dissuade councillors from following it. 3) the points need to be made clearly such that they can be followed by someone who has read the committee report. 3) threatening the council with an appeal, costs awards, judicial review or reporting to the local government ombudsman should be done sparingly and with great care. Letters should be fairly short, with two or three pages being a reasonable length. Committee meetings will usually deal with a number of applications – often more than ten – and the task of carefully reading the committee report will take some time. That preparation has to be fitted around the members’ other political and personal (including work) commitments. Unless they are especially interested in the application they will not appreciate a lengthy submission, with appendices. There is no difficulty in writing to councillors directly but it is prudent to copy any letter to the planning department. Other dealings with committee members in advance of a meeting should be handled with more care. Councillors should be, and generally are, concerned to avoid giving an impression that they are committed to one side before determining an application. The authority will usually have a planning code of conduct which guides such dealings. No such restrictions apply to councillors who are not on the committee. They can be approached, in particular members representing wards or divisions which contain or are likely to be affected by the development. Such members can campaign vigorously for one side or another. Many planning committees are prepared to hear oral representations from applicants and other persons. Whether and how this will be done will be set out in a published procedure. Invariably there will be a need to register in advance of the meeting, usually a day or so beforehand. It is vital for potential speakers to check and comply with this requirement. If the person finds out about the meeting at a late stage because of an error by the authority to inform them in time, then they should ask to speak out of time if they wish to do so. Where the authority has been at fault, it should treat the request as if it had been made in time. The time limits are usually ruthlessly enforced so unless the speaker is capable of extemporising a concise speech with a timer, it is sensible for the speech to be fully scripted and rehearsed against the clock. Speakers on the same side should coordinate their submissions to make the best use of time. If a letter has been sent to the committee before the meeting there is no point in reading this out, but the speaker may wish to make the same point in a different way. Parties will need to think who should speak for them. The choice will be between the applicant/objector, the planning consultant or architect, an expert professional if a particular specialist issue arises, or a solicitor or counsel. This will often depend upon individuals’ own skills and preferences, as well as the decisive issues in the case: will the committee be swayed by a heart-felt plea, or professional assurance or is there a hard issue, perhaps of law, where the committee need to be persuaded to disagree with their officers? Richard Harwood OBE QC is a barrister at 39 Essex Chambers, specialising in planning, environmental, art and public law. This article is based on his book Planning Permission published in February 2016 by Bloomsbury Professional.